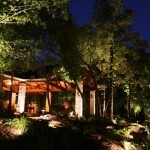 Posted April 8, 2010 by Norburn Lighting and Bath Centre & filed under In The News, Landscape Lighting, Trends . At Norburn Lighting we pride ourselves on our dedication to staff training about the products we sell, we also enjoy keeping abreast of the leading trends to better service our clients in the Vancouver, Burnaby, Surrey, Langley, Fraser Valley and the surrounding areas. 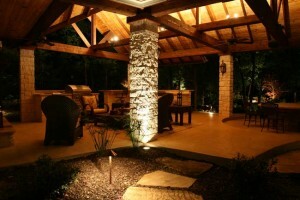 We stay excited and our customers always get a fresh innovative perspective when it comes to their home design. While outdoor living continues to grow in popularity, expect fewer frills this year as homeowners get back to the basics in a cool economy, according to an American Society of Landscape Architects (ASLA) survey of residential landscape architects. Overall, 94.4 percent of residential landscape architects rate outdoor living spaces like kitchens or entertaining space as somewhat or very popular for 2010. Among kitchen features, the most popular include the classic outdoor grill (94.4 percent) and counter space (73.5 percent). More elaborate kitchen elements like outdoor refrigerators (52.8 percent) and sinks (50 percent) were much less popular. Following a similar trend, the most popular outdoor entertainment features eschewed more expensive, elaborate items in favour of the essentials. “Homeowners want to create a sense of place for their family, friends, and neighbors to enjoy outside, but an uncertain economy means many will dial back some of the extra features we’ve seen in past years,” said ASLA Executive Vice President and CEO Nancy Somerville, Hon. ASLA. 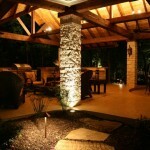 Among landscape and garden features, 2010 will feature an increase of design elements that reduce time and money. Topping the list are low-maintenance landscapes (94 percent); drip/water-efficient irrigation (85.2 percent); native/adapted drought tolerant plants (85.2 percent); and less lawn (73.9 percent). Other popular features include fountains/water features (87.8 percent) and food/vegetable gardens (78.5 percent). 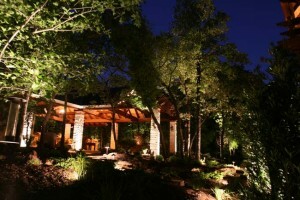 The survey asked residential landscape architects about the estimated popularity of various design elements for 2010. The survey was fielded January 25 to February 12, with 182 responding.